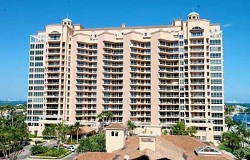 Tower Two at the Gables Club Condo in Coral Gables is located at 60 Edgewater Drive, Coral Gables, FL 33133. Built in 2003, Gables Club Tower Two is 17 stories offering 99 residences with 2-6 bedrooms sized between 1,500-10,190 SF. Scroll down to view all available units for sale and rent at Gables Club Tower Two or contact us for more information on this and other great condos in Coral Gables. Thinking About Buying or Selling in Coral Gables? Nobody knows Coral Gables real estate better than The Jo-Ann Forster Team, your trusted Coral Gables Realtor. We have been successfully selling real estate in South Florida for over 30 years and have a proven track record for delivering exceptional service and results for our clients. Give us a call today at 305-468-4558 or use the form below to contact us by email and let us know how we can help you. The data relating to real estate on this web site comes in part from the Internet Data Exchange program of the MLS of the Miami Association of REALTORS®, and is updated as of April 26th, 2019 at 6:09am EDT (date/time).